MBALE – Residents of Mbale municipality in Mbale District have raised concern over poor sewage disposal, saying it is putting their lives at risk of serious health effects. During a spot check by this website last month, pipes were found emptying sewage into the Rivers such as River Nabuyonga, one of the community major water sources in Namatala slum. In other slum areas like Mooni, Keteso, Bujoloto, Soweto and Nkoma, among others, some residents have allowed sewage to flow from their homes into the nearby water sources including wells. This has exposed the residents to the risk of water-borne diseases such as cholera, dysentery, typhoid and diarrhoea. Ms Sylvia Nafuna 29, a resident of Wagagai cell in Northern division, Mbale town, says they have notified the concerned officials about wastewater being released into their wells and rivers but there has been no positive response. “Our leaders are doing nothing about it and yet we are being infected by drinking contaminated water,” Ms Nafuna, says. Ms Nafuna says during this dry season, they only depend on water from the nearby streams for both domestic and commercial use, which is now unhygienic. Another resident, Mr. Joseph Walimbwa, says the wastewater, which is not treated, is also poisoning the fields where vegetables and plants are grown along the rivers. “The contaminated water is released in the river affecting our vegetable and plants, we grow along the river banks,” he says. Mr Moses Manana says the acts of NSWC to allow sewage to flow without any direction in the area amounts to negligence. “The NWSC has allowed sewage to flow without any direction. It flows near my house’s verandah and it also runs into other people’s gardens of mostly vegetables. We have requested them to rectify the problem but in vain,” he says. Mr Manana has also filed a suit against the National Water and Sewage Corporation (NSWC) at Mbale high court over the matter. He, however, adds that some people have built on sewer lines and caused diversion of sewage into the Rivers but no action has been taken against them. “Those who have built on sewer lines have disabled the sewage system but concerned officials seem very okay with it,” he says. Mr Walimbwa further blames the officials of the National Water and Sewage Cooperation (NWSC) for failure to intervene and solve the mess especially when they report leaking sewer lines in their areas. Mr Safiyi Mafabi, the chairman of Mbale Elders forum, says the problems of poor sewage disposal, illegal structures coupled with rampant corruption in the council are still an impediment as the town agitates to become a regional city. “We still have along to go especially that we still have buildings that don’t conform to the physical planning of the town cropping up and worse are being constructed on sewage systems,” he says. 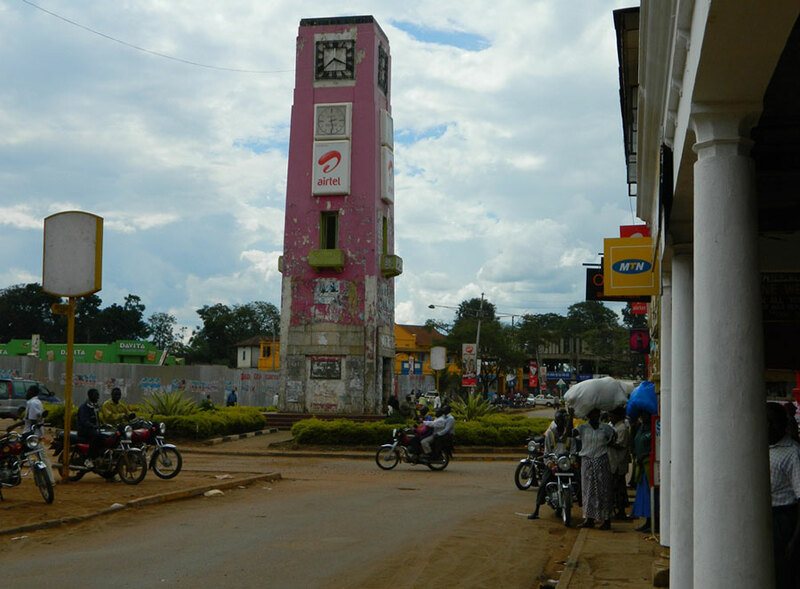 Mr Mafabi says this threatens the mission of Mbale town to attain city status in the near future. “We are a state of quagmire and if in any case, we become a city, we shall have no free land because all public land has been grabbed,” he says. He, however, urges municipal authorities to demolish illegal structures cropping up on North road land, which are also being built on sewer lines before it’s too late. “We still have time to save North road land not to be divided and taken like Uhuru Park, Lorry Park, among others. This town is still a menace,” he says. Mbale town has been of recent receiving praise following the rehabilitation of roads, installation traffic lights and solar street lights on the Republic, Pallisa, Nabuyonga Rise, Mugishu Hill, which were constructed under the World Bank-funded Uganda Support to Municipality Infrastructure Development (USMID) programme at a cost of Shs10 billion. But, Mr Mafabi says this is not enough especially if the physical planning aspect of the town is still in disarray. Mr Ali Walusimbi, Member of Municipal development Forum, says the challenge is that the municipality still operates on the physical plans of the 1960s and yet the population has grown. “We currently have no clear drainage systems and that is the problem, which should be handled first,” he says. Mr Charles Wandera, a member of the physical planning committee and principal health inspector of the municipality, however, says most of the landlords in town don’t have soak pits for water and also have no approved plans for structures. “The biggest problem is that the landlords do not have soak pits yet they are essential in managing in sewage,” he says. Ms Doreen Kapsulel Cathy, the Principal Public Relations Officer (NWSC), eastern region says they have a challenge in managing sewage and drainage system because of the mushrooming buildings in town with no approved plan. “People building on sewer Lines is a big challenge because when lines get blocked, it becomes very hard for us to maintain because we can’t access networks,” she says. She, however, says they are engaging the municipal council leadership to find to a lasting solution to sewage problem. “We are going to meet and see how to solve such the problem because those sewer lines existed before buildings were put up,” she says. Mr James Kutosi, the public relations officer, Mbale municipal council, says the NSCW and municipal council have developed, a master plan, which is waiting for implementation to solve the problem. “It might take a little while but the authorities are equally concerned,” he said. Mr Paul Batanda, Municipal town clerk acknowledges the need for new drainage and sewerage plan. “We have a challenge of adequate road network, adequate drainage systems and adequate sewage line system,” he says. He adds, “There are people who have structures that were built 3o year- ago and are on sewer lines and there are those who have connected sewage into drainages, it’s a mess,” he says. He says they came up with the 5- year- municipal drainage plan but it pending implementation due to lack of resources.